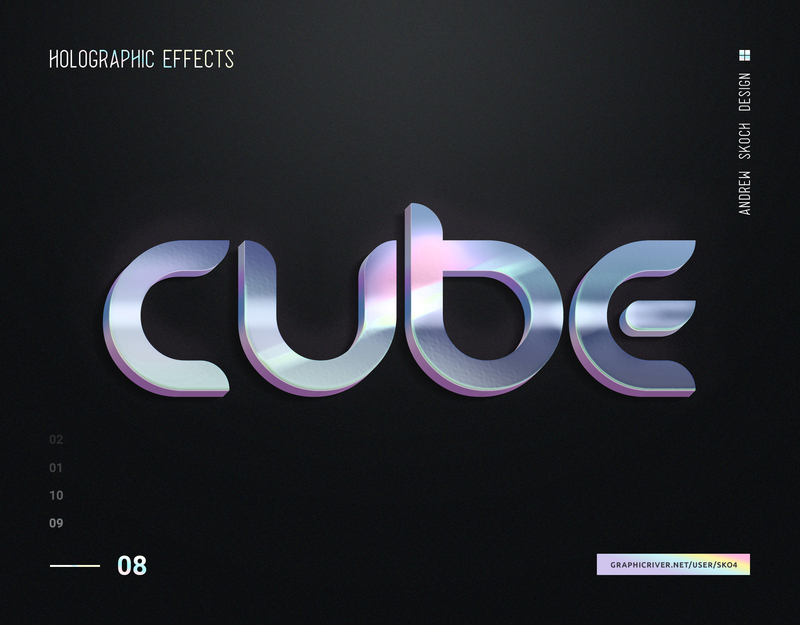 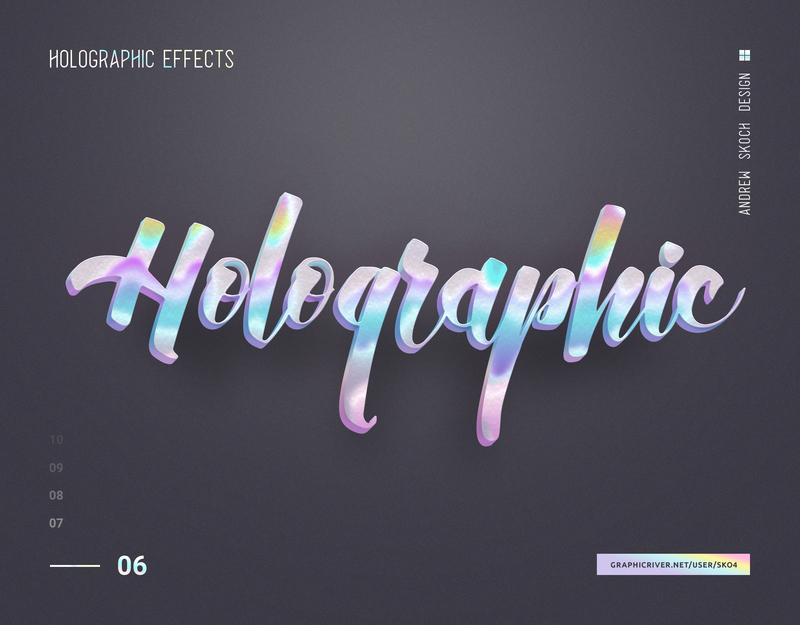 The holographic design trend is a huge hit for several years. 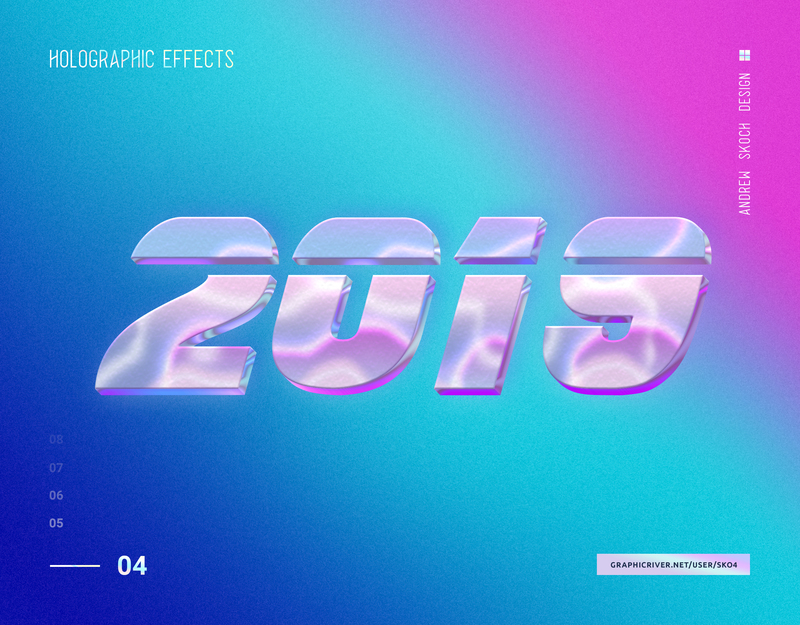 Be trendy with these mockups in 2019! 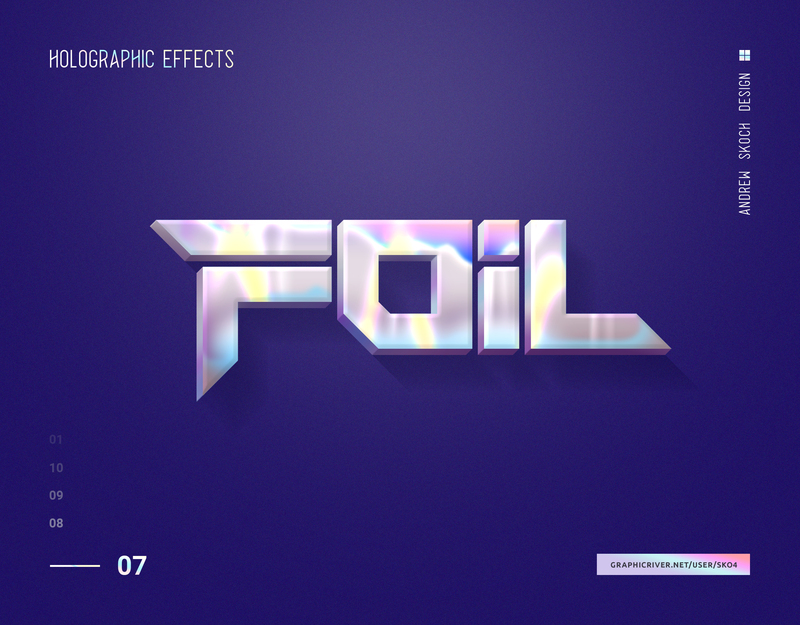 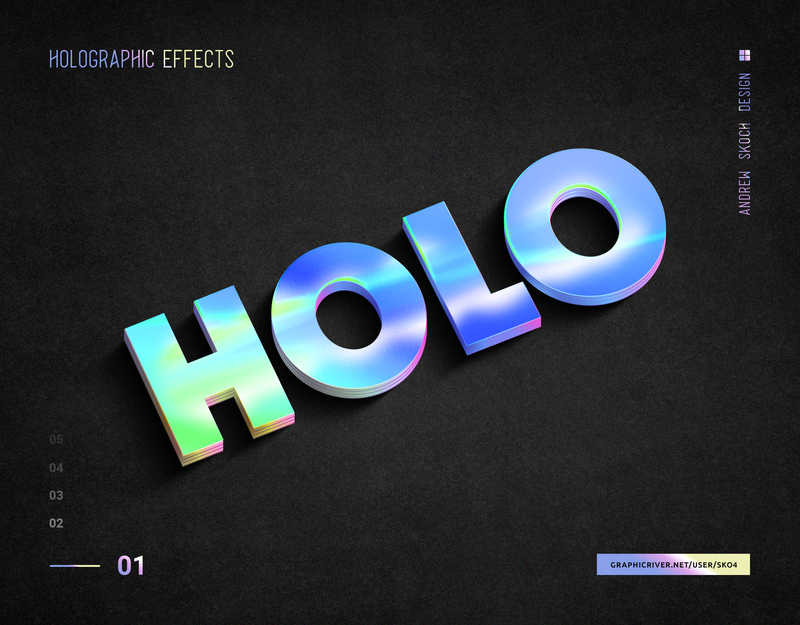 10 shiny holographic effects. 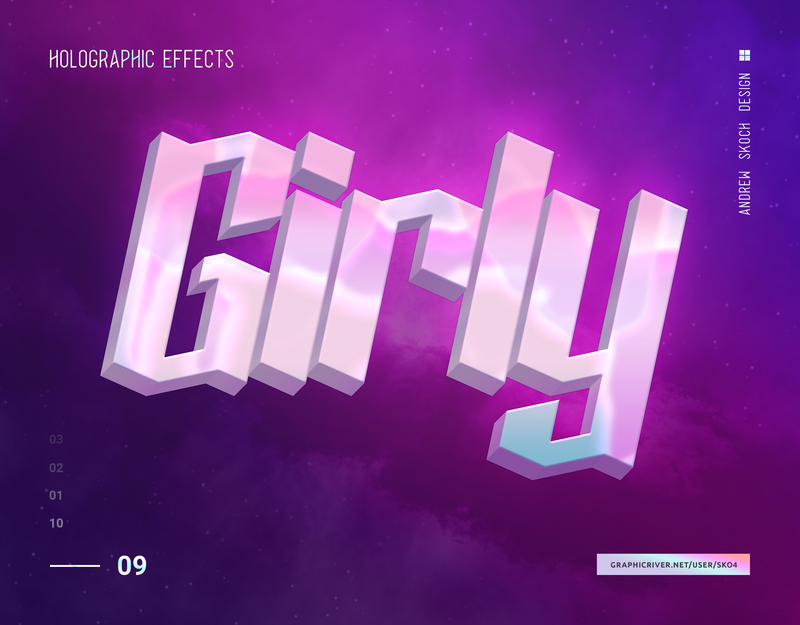 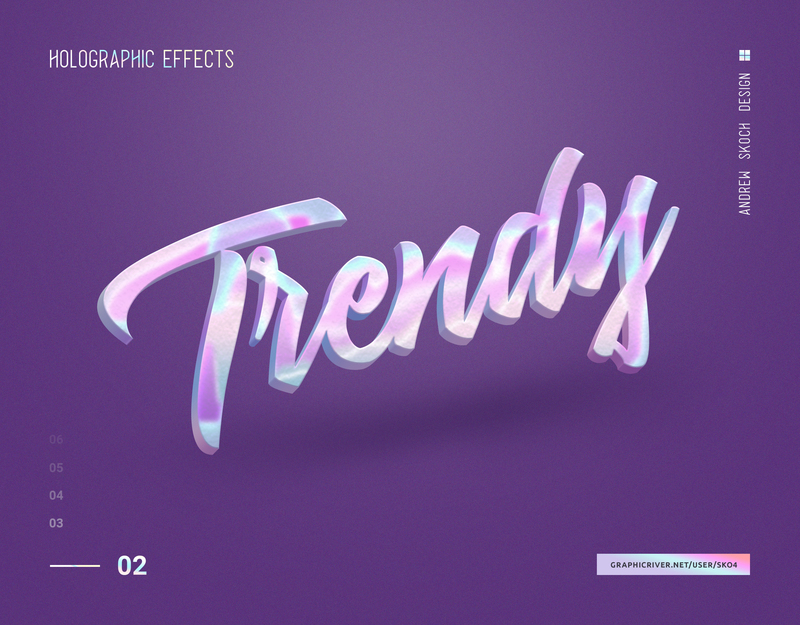 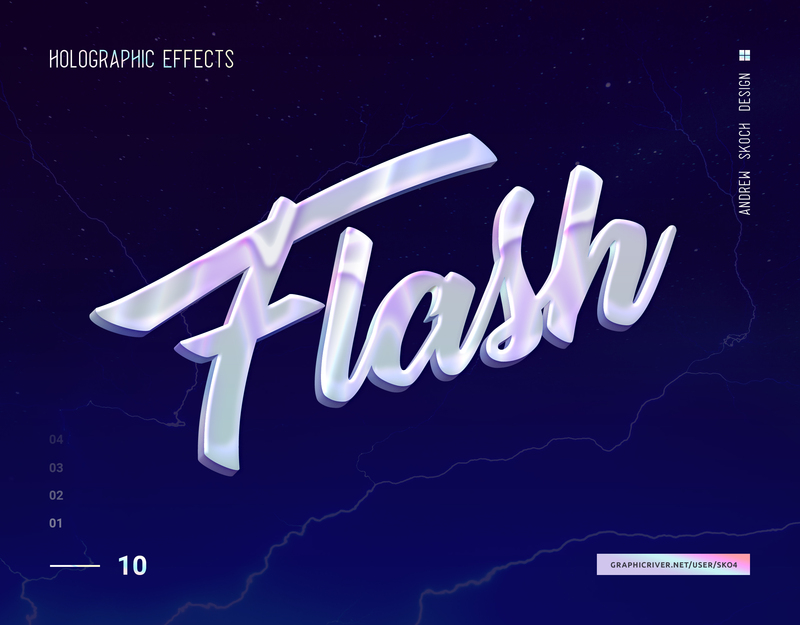 It’s easy way to present your text, shape or logo in cool retro style. 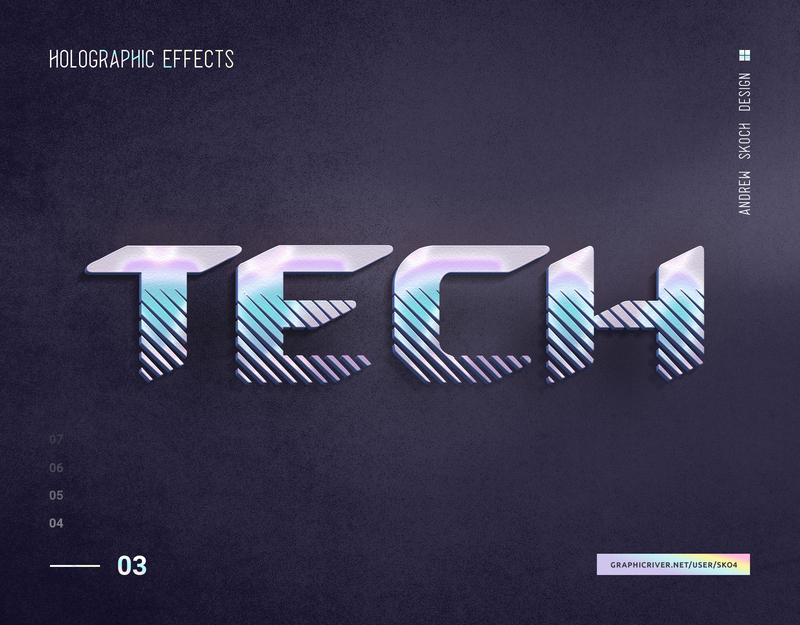 Create a great poster or flyer, a facebook cover, youtube cover, website banner, cinematic title, movie title, etc. 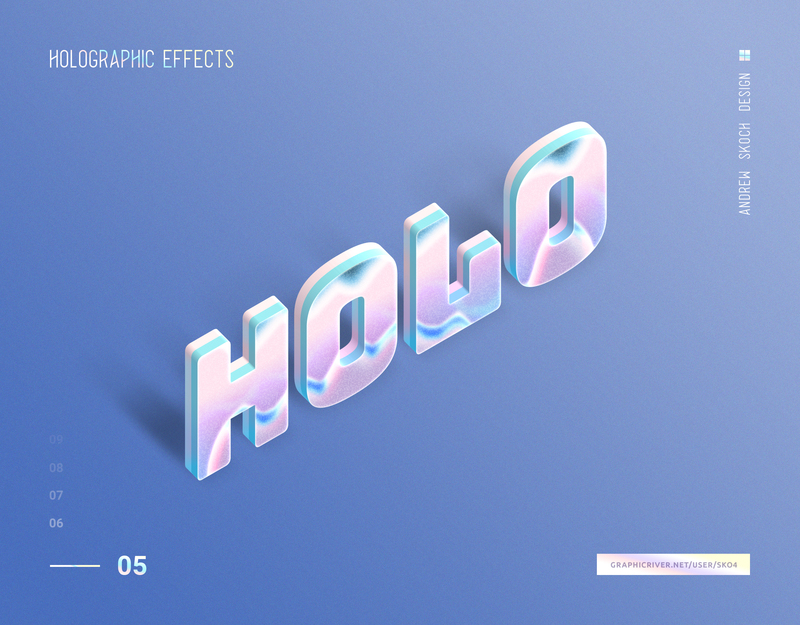 Free Font Download Links included in the Help File.